Home » WordPress Plugins » Can I Add Facebook Author Tags? Can I Add Facebook Author Tags? If you want to set up Facebook author tags as described in this article and this article by Facebook, don't fret. 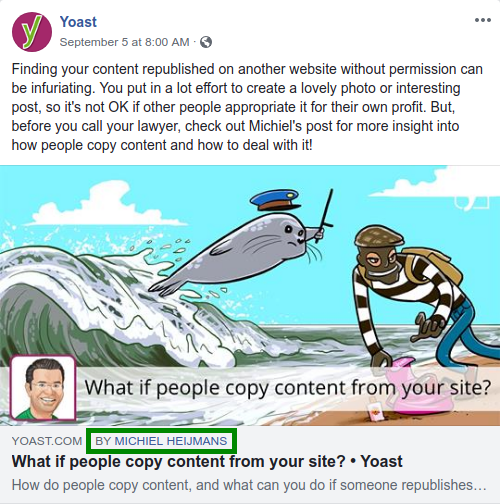 It's easy with the Yoast SEO plugin. When you’re logged in, you will be in your ‘Dashboard’. On the left-hand side, you will see a menu. In that menu, click on ‘Users’. Click 'Edit' for the username of your profile or one of your author profiles. 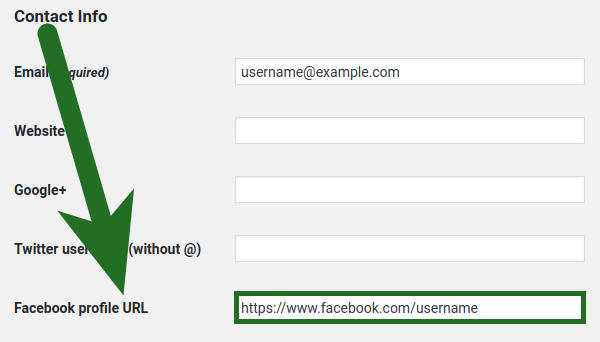 Under 'Contact Info', add the personal Facebook profile URL. TIP: The author name is only clickable when the linked profile allows followers. Turn that feature on with these steps. You or your developer can use the wpseo_opengraph_author_facebook filter to customize this feature. Returning false will disable the feature.